CLEVELAND, TX (KTRK) -- A 10-year-old girl was airlifted to the hospital after she was bitten by a copperhead snake in Cleveland. According to the Liberty County Sheriff's Office, the girl was bitten at a home off County Road 3892 West. 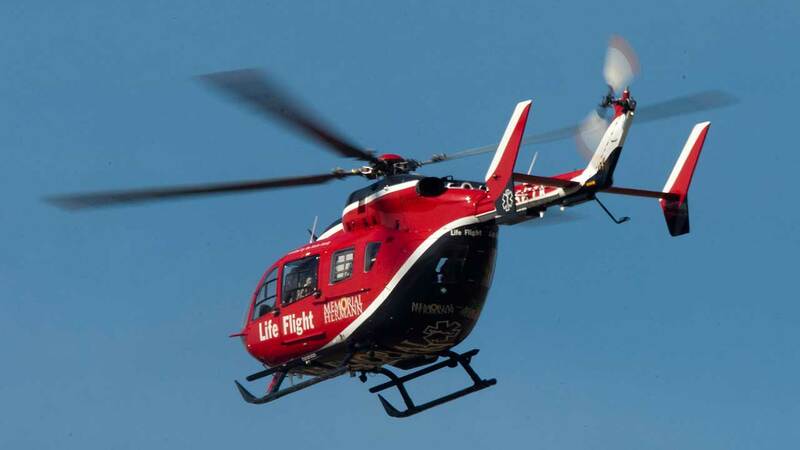 She was transported via LifeFlight to the hospital. Her condition is still unknown. This is the second snake bite reported in the Houston area in as many days. On Sunday, a 14-year-old boy walking along the dunes of Surfside Beach was bit by a rattlesnake just under his left knee. He also was airlifted to the hospital.